My primary goal and mission in doing this work is to help people. In my thirties I had debilitating health problems that Western Medicine was not able to diagnose other than to tell me I was just getting old at 38. I knew how I felt was not normal and refused to give in so I searched outside the box and found Energy Medicine that helped me get back my health and wellness. I left my 20 year career in insurance to go back to Acupuncture school so I could get licensed to be able to help people. When you are not able to find a solution to your health issues, I strongly suggest that you think outside the box and try something new. What have you got to lose except your health issues? Do you have chronic or acute pain in your body? Are you an emotional train wreck? Is your digestive system failing you? If you are unable to find any lasting solutions to these and many more health issues or just want to maintain your wellness, then it may be time to call Connie Prodromou, L.Ac., M.I.M.® of Marin Health & Empowerment Center, formerly Ross Valley Wellness Center. 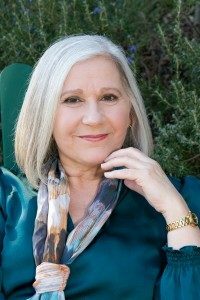 In her own unique combination of various energy techniques including BioSET®, Neuromodulation Technique®, Intuition Medicine® and acupuncture or acupressure, Connie has been able to help restore the body’s innate ability to heal itself. These modalities help to restore energetic balance often resulting in increased vitality, more effective immune system, and restoration of overall good health and well-being on the body, mind and spirit level. Connie works with clients of all ages in a very non-invasive way to gently guide them back to health. Very often clients find her when they have exhausted all other options to no avail and find that her work has profound results on all levels. You have nothing to lose but your symptoms. There is nothing magical about this work, it is just a process of getting things out of the way to be able to see the deeper truths of what has created our lives, our health, and our world. Make This Year Your Healthiest Year Yet!